You are young and vibrant. You run a BUSINESS or would like to venture into one very soon. You will like to hear from those already 'sitting in your dream chair', then schedule this event now. 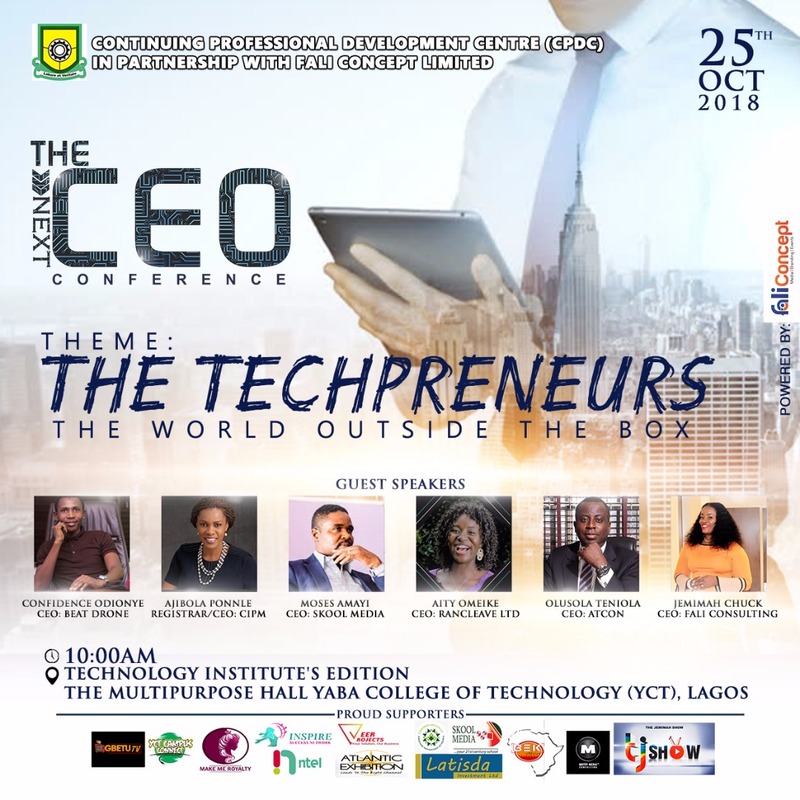 Join Six CEOs and over 2000 aspiring entrepreneurs like you on a round conference as Continuing Professional Development (CPDC) in partnership with FALI Concept Limited brings to you THE NEXT CEO CONFERENCE with theme entitled "The Techpreneures - The World Outside The Box". Venue: Multipurpose hall, Yaba College of Technology. 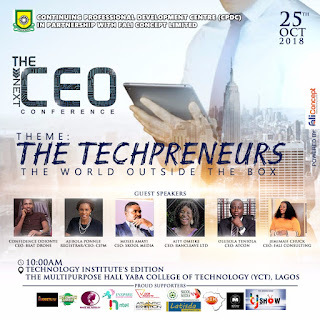 - 25 business idea pitch by students of YAbatech and lots more. In addition, 5 lucky winners will gain cash prizes of N20,000 each from luck deep. Mentorship, Networking and Fun all for you.